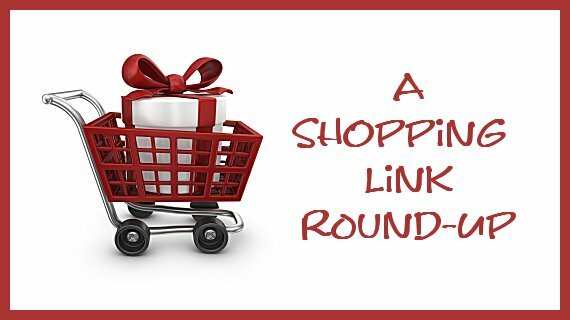 Grab a Cart and Let's Go Link Shopping! I'm not one of these shoppers who waits until the last second to buy gifts. I'm always on the lookout for them. One of my favorite sources is the Bas Bleu catalog, and since this is a company that focuses on reading, I thought I'd share some of the goodies in their newest catalog. I am not a spokesperson for the company, just a satisfied customer who must also admit that she's discovered items in their catalog only to purchase them elsewhere. I know. Shame on me! I don't know how many of you are in the same boat as I am, but the birthdays in my family seem to be clumped just before and just after Christmas. Since I keep my eyes peeled for gifts year-round, I buy them year-round. Just don't do what I've done in the past and forget where you've stashed your gifts! Okay, grab that cart and let's get to shopping these links! How about a Jane Austen sweatshirt? Or a pair of library card socks? 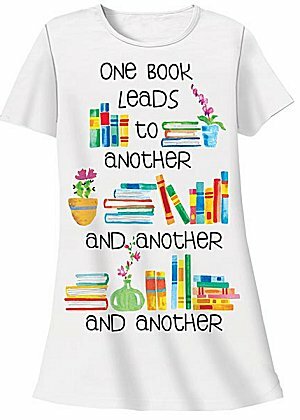 The One Book Leads to Another sleep shirt is great! And the High Shelf Esteem sleep shirt would be almost impossible to ignore! ...and these Pride and Prejudice salt and pepper shakers, set of Austen book ornaments, and Darcy and Elizabeth ornaments. 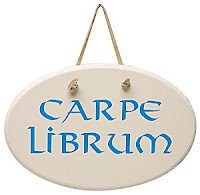 When all else fails, a Carpe Librum plaque (Seize the Book!) should do nicely. As far as I'm concerned, you can never have too many totes-- especially if they look like this Nancy Drew tote. And the Reading Woman calendars are the best! Since I now dabble in book covers, I couldn't resist this Best Seller jigsaw puzzle. 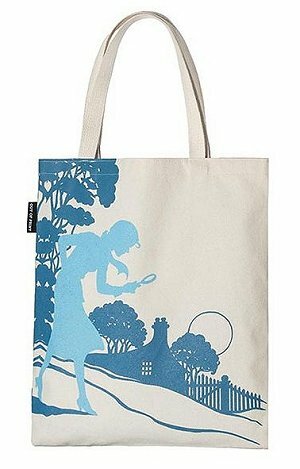 What's not to like about this Nancy Drew jigsaw puzzle? Oh, goodness, Cathy!! How could I not have heard of this company!?!?! This stuff is amazing! OK, I know where I'm going next time budget permits. 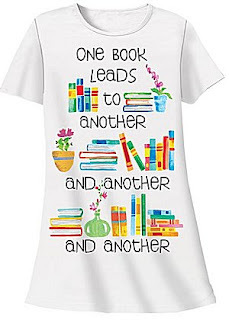 Yes, it is a wonderful company for all sorts of book-related items!